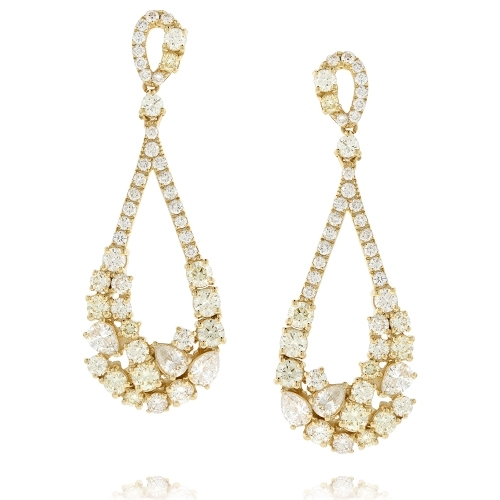 Classic diamond dangle design with larger fancy white diamonds strategically prong set and mounted in 18k yellow gold. Diamonds approx. 3.39ct. Earrings 1.75"